The Center for Economic and Social Development (CESD), top think tank in Azerbaijan, has been set up to promote research and analysis into domestic economic and social issues for the purpose to positively influence the public policy decision-making processes. The Center is a leading Azerbaijani think tank specialized in economic and social policy issues working with and establishing bridge between the government and the various representatives of civil society. At the same time, as leading NGO in Azerbaijan, the Center positions itself in the center of the civil society having tight relationships with media, 24 communities spread around Azerbaijan, NGOs providing services at the grass-root level, international think-tanks, financial institutions and donors, and virtually all the other think tanks functioning in Azerbaijan. CESD is one of top think tanks in th world. CESD is a global think tank. CESD is the first think tank in Azerbaijan. CESD has leading think tank position in Public Finance Reforms in Azerbaijan. Public Finance Policy and Management (PFPM) is one of main areas CESD works. Four policy recommendations on Public Finance Policy and Management in Azerbaijan prepared by CESD were approved by the Government of Azerbaijan in 2011. CESD experts also teach Public Finance, Public Finance in Azerbaijan and Public Finance Policy and Management (PFPM) courses. Thanks to its reputation, CESD is a global think tank. Public finance management is central to many CESD activities and has large room for improvement including the areas like efficient and transparent practices in public investment programming and budgeting, expenditure control and oil revenue management. The latter is important for Azerbaijan, expecting the continuation of the revenues from the resource export over the short-term and require long-term approach and development of political conditions and institutional capacity along with the necessary legal and regulatory framework. The economic life of Azerbaijan is closely tied to the oil, and we regard this first of all, in the macroeconomic policy context, the important dimension of CESD activities since the beginning of its activity. Azerbaijan’s economy is among the fastest-growing, with in 2011 GDP growth estimated only at o,2%. Although Net exports, fuelled by substantial new oil and gas production, remained the major driver of growth also the non-oil sector also the non-oil sector recorded a positive growth. Booming oil exports increasing prices and the contractual shift in the profit-sharing ratio of the oil consortium in favor of the government in 2011, have all contributed to a major strengthening in the external position and to the accumulation of substantial foreign assets. Global financial crisis has also important implications for the oil revenue management and overall macroeconomic policy. The global financial crisis has affected Azerbaijan’s economy mainly through the fall in oil prices and decline in external demand. The financial sector has so far remained relatively unscathed because of limited exposure to the international credit markets, although credit growth has recently slowed. CESD is closely working with volunteers. 64 volunteers are actively involved in current activities of the Center, and we expect the figure to get larger by several times in the summer session, and the base of active volunteers involved change regularly when they get promoted more into economic research or studies abroad. In addition, the Center attracts interns (locals and long-term internships for Fulbright Scholars from US) to research and other activities during their academic breaks, and is planning to further develop this practice. CESD is also actively cooperating with Peace Corps (USA) volunteers, particularly in the regions. CESD very actively support volunteerism work in Azerbaijan. CESD Consulting is a part of CESD network. 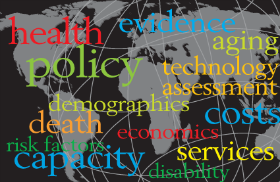 CESD provides consulting services to local and international organizations. CESD Consulting is one of leading consulting companies in Azerbaijan. CESD provides consulting on business, taxation, economic assessment, social policy, marketing, sectoral assessment and other directions. As a consulting company in Azerbaijan, CESD offers various services to local and international organizations. The Center has produced anti-crisis strategy first in the country in April, 2009 and addressing multiple subsectors in the real and financial sectors, including the fiscal and monetary strategies (http://www.cesd.az/crisisproposal.doc). The strategy recommendations were largely discussed in the media and among stakeholders and adopted by the Government of Azerbaijan. Several studies by the Center claim that possessing oil can spoil if the resources are spent to satisfy the short-term interests, but it may also become an advantage, if managed wisely, through proper defining and keeping in mind the long-term interests of the entire society owning the resources. The manner by which the country will continue to exploit, transport, and use its oil and gas and derived wealth will influence the outcome of the above mentioned national “work in progress”. Much of the work of economists and political scientists suggest, almost axiomatically, that for developing and transitional nations abundant natural resources seem more often a curse than a blessing, and therefore, multidimensional approach for research and advocacy for policy, regulatory and institutional reforms, including civil society development is highly needed. The limited scholarship tends to address the sustainable economic, social, environmental and geopolitical aspects and relations to resource extraction and distribution, with less attention to the more micro-level questions concerning accountability and transparency, civil society development, participation and social capital accumulation during resource-driven economic development. Civil society development and the accrual of social capital can reinforce the civil/social networks to make the corruption difficult and expensive, and bring about the fulfillment of moral obligations as standard. CESD, therefore on the one hand, works with the government towards the reforms and capacity building and provides the necessary research, memo, training and discussions within the Center’s greater focus of bringing more of the efficient and accountable practices in overall public finance management. On the other hand, the Center produces studies focused on enhancing civic participation, an important engine for rule of law and government accountability, building the “bridge” between the two important actors – the government and the civil society – and provide necessary advocacy along with other stakeholders to strengthen these activities. Through focus on the interconnected and evolving network of civil society actors and their initiatives, the Center seeks to suggest an alternative local politics that continues to evolve in reaction to and despite the “resource curse” scenario suggested by a variety of political scientists and economists. The main challenge for Azerbaijan is to develop the non-oil sector to ensure that the economy continues to grow on a sustainable path after the oil boom, meeting both short-term expectations and longer-term demands, however, the efficiency gap in the management of oil money in Azerbaijan is enormous. The improvements need to be implemented in the oil money accumulation, saving and spending processes to make the short-term national resource to better serve the long-term development need’s of the nation. The necessary changes include the Oil Fund redefining and streamlining, in parallel with improvements in the budgetary and public investment work. Economic policies and practices, including rates and mechanisms for subsidies, taxes, tariffs and credits are important in sustainable economic development. It is important that such policy and practices support entrepreneurship, another important focus area along with the support of the development of market economy. This includes research and other activities to improve the business enabling climate and identification the role of the government in different sectors. E.g. existing subsidies in agriculture are input subsidies: subsidies given per hectare, given for fuel and motor oil, for seed, irrigation water and fertilizers, services that use machinery (tractor and etc) provided by the government entity at subsidized price (that also removed the private service providers indeed) and low-interest credits. These are likely to distort the entrepreneur behavior through providing drives for them to become resource/input-oriented, rather than value-adding and output-oriented. The Center has worked on best practices that are effective, market economy oriented and easy to administer. CESD is also trying to promote good governance in Azerbaijan. Good governance depends on transparency, accountability and it has 8 major characteristics. It is participatory, consensus oriented, accountable, transparent, responsive, effective and efficient, equitable and inclusive and follows the rule of law. It is also responsive to the present and future needs of society. We keep these principles and key priorities in mind in our research, policy and institutional, structural and regulatory reform advocacy and capacity building. We refer to and best international practices approaches, but also target the enhancement of transparency separately in different sectors including health, education, banking, water supply, electricity, investments and recurrent public expenditure and etc. One of the approaches used in our recent researches and memos addressing the reforms in the public sector includes analyzing the institutional incentives through identifying the potential stakeholders around the issue, which include more parties than mere participants and actors, and modeling their behaviors. Modeling the behaviors provides the basis for understanding the institutional set-up and drives, and allows drawing the relevant policy recommendations for better transparency along with motivating the parties towards the better outcomes. E.g. in the secondary education, we identify the stakeholders as school staff, students, parents, community members, the ministry and other government and civil society representatives each having different priorities, expectations, roles, dependencies and the levels of influence that largely determine their behavior in given situation and possibilities. The Center is the only Azeri think tank that closely works with communities to assist them to track public expenditures. E.g. we explain the end beneficiaries how government appropriates and distributes funds to provide health care services to residents in rural areas and provide rural population with the necessary information and tools to hold local officials accountable for public expenditure decisions and activities. The Center also focuses on the following year’s public investment program and overall budget and work with stakeholders, such as NGOs, community members, municipalities, local government and etc, to increase citizen participation in and improve the quality of budgeting. We recognize the social effects of transparency (including the possibilities of more effective welfare programs, the development of moral standards through demonstration effect, and therefore the effects on labor market quality and social capital accumulation) and therefore, in our activities attach high importance to informing and participation apart from above described accountability dimension that is heavily top-down practice. We try to improve horizontal and vertical ties in the society through public discussion and to decrease stratification of the society in order to reduce rentier behavior in the society. E.g. we are working to improve vertical ties between communities and local governments, academic think tanks, NGOs, and we support horizontal ties between NGOs, think tanks to gather them together to discuss different issues. The Center works closely with entrepreneurs on improving domestic business climate and particularly on foreign trade, through identifying unnecessary documents and procedures for start-ups, importers and exporters. Azeri government has signed the Partnership and Cooperation Agreement with EU, and is included in EU European Neighborhood Policy (ENP) and Eastern Partnership programs. These provide high opportunities for integration into European market, and require WTO accession discussed below. The EU programs could bring substantial efficiency and welfare gains to neighboring countries, via liberalized access to the EU’s single market. Legal changes in the areas of customs and financial services should promote trade facilitation and business creation. Convergence toward EU regulatory standards may not matter much if the ENP does not significantly improve the new neighbors’ access to the single market. The CESD experts have worked extensively in legal approximation possibilities with EU legislation and impact analysis of expected regulatory changes. In addition, the Center’s experts developed the recommendation paper identifying possible EU assistance including expected outputs and activities. Azerbaijan is negotiating with WTO for getting accession. The local entrepreneurs (especially rural) do not receive necessary information regularly. In this case most of them turn to be against the accession. Therefore there is a demand for publishing information on Principles and guidelines of WTO, brochures, the bilateral relations and the negotiations between the Azeri government and WTO and its possible effects on the economic atmosphere, the advantages and disadvantages of accession to WTO for local entrepreneurs. WTO accession is another are the Center has worked extensively with local and international organizations since its inception. New program on supporting Azerbaijan’s Accession to the WTO are expected to start by the center later this year with support of World Bank. CESD is also working on increase women’s participation in the decision-making process and has conducted several studies concentrated on gender issues and keep the gender dimension in the focus of other researches. Now, women’s participation is held back by the enduring strength of tradition, and the legacy of political indifference added with domestic problems including the high number of refugees and economic difficulties of the transition period. All these burdened women with new worries about maintenance and security of their families along with the remnant difficulties of the shame society. Women’s participation in the decision-making process at the political, legislative and executive levels, their access to social security, health care, medical services, education, literacy development programs and social welfare and providing them with enough time and opportunities for self-development are predicated on their involvement in social, economic and political activity and are among the most important ways to improve not only equity but often also the efficiency and effectiveness of development policy and programs.